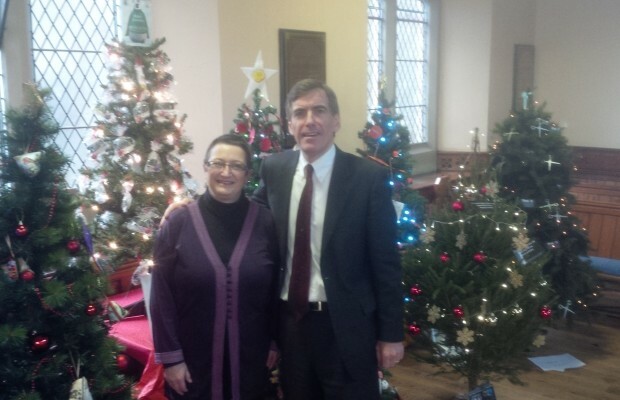 Local MP, David Rutley, lent a hand with the unveiling of the second annual Christmas Tree Festival in Macclesfield. The Festival, which was organised by Macclesfield and Bollington United Reformed Church, enables local businesses and organisations to take part in the event by donating and decorating Christmas trees, which reflect the identity of the individual groups. Visitors’ admission charges and the funds raised from the event will be donated to the East Cheshire Hospice. Although the trees were the centrepiece of the weekend’s festivities, there were also storytelling events amongst the trees, carols from King’s School Junior Choir, and the traditional Carol Service in the Church, bringing the festival to a close on Sunday evening. The Church was also pleased to welcome Father Christmas, who found time in his busy schedule to join in the fun.